Ricoh SP 3600SF multifunction printer driver and software for Microsoft Windows OS. 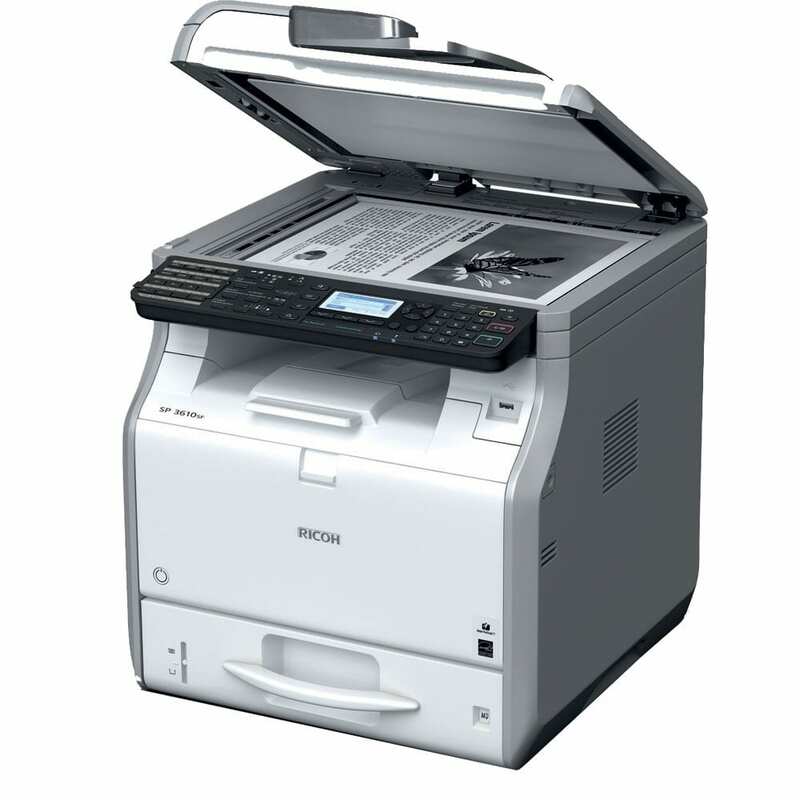 This compact system with a small footprint is perfect for the needs of small offices that need to copy, scan and print. By default, the system can be connected via USB or Gigabit Ethernet. Using the W-LAN option, the SP 3600SF can be placed anywhere in the office where there is a power outlet. The SP 3600SF takes up very little space and consumes very little power when not in use. But if needed, the SP 3600SF can be up and run in just 13 seconds, deliver the first print after 6.5 seconds, and cope with high-volume workloads. This driver functions with the Ricoh SP 3600SF Series download.